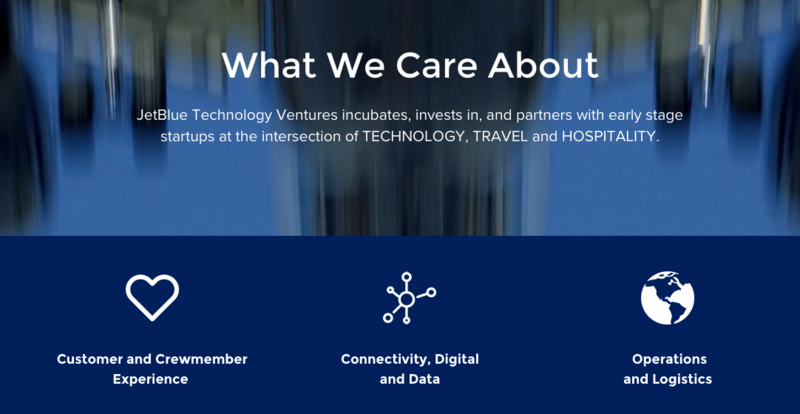 JetBlue celebrated its sixteenth year anniversary of its first flight by launching a new wholly owned subsidiary that will invest in, incubate and partner with early stage startups at the intersection of technology, travel and hospitality. 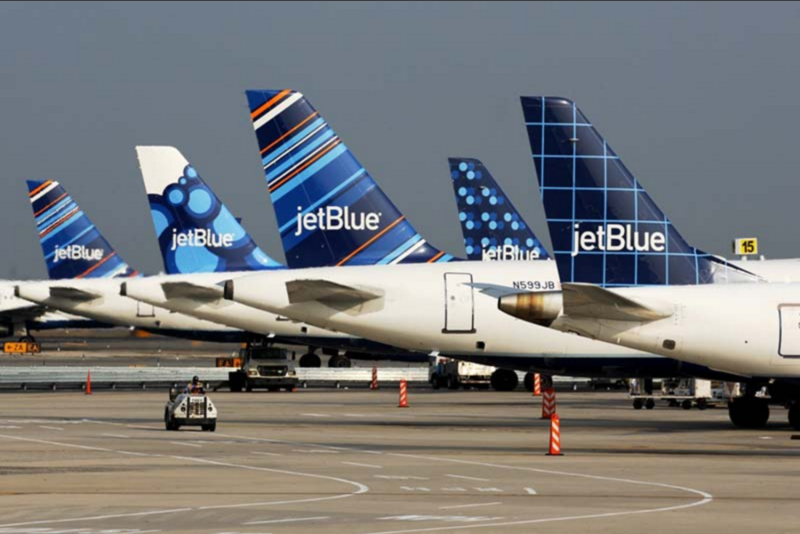 The new subsidiary’s name is JetBlue Technology Ventures and is the first of its kind backed by a US airline. It will work directly with incubators, venture capital firms, universities and other organizations inside and outside Silicon Valley. The goal is to use the initiative as a launchpad for new innovations focusing on “customer and crewmember experiences, increase the airline’s operational efficiency and expand the JetBlue brand to new markets”. Bonny Simi will serve as the president of the subsidiary, reporting to Eash Sundaram, executive vice president and chief information officer of JetBlue. She is a pilot and officer with over a decade of leadership experience holding talent, customer experience and other roles within the airline, and over 25 years in the airline industry. Successful airlines rely on a suite of technologies from aircrafts to reservation systems and multimodal information systems to transport a passenger to their final destination. Not only does technology play a part in a business, but it also helps to bring companies closer to their customers. It works in favour of businesses to bring technology to the fore front. Take a look at some favorite examples of digital transformation to see how technology and businesses work well together, for any industry. Innovation played a key role managing increased passenger loads. For example, American Airlines introduced the world’s first automated booking system in 1946 and worked with IBM to build Semi-Automatic Business Research Environment (SABRE) used by many airlines today (Insight – Airline Retailing). Potential passengers make many decisions throughout their travel journey from booking to post flight. They use technology to facilitate gathering and consolidating information as part of their research for products that give them the highest perceived value. After booking their airline tickets, they will likely complete their itinerary with other arrangements (hotels, car rentals, excursions). Technology is used to determine how and when to go to the airport. Once arrived at the airport, passengers may be seen managing check in, security and immigration processes with kiosks and other mobile devices. Electronic wayfinding could lead them to different amenities or boarding gates. On board, passengers can enjoy themselves throughout different inflight entertainment and connectivity options. Technology is used to manage any post travel arrangement or connection needs. Flight management including notification for delays / cancellations / upgrades and changes is an area where many passengers continue to voice concerns. It is harder to manage expectations as they are often many system interactions. The airline industry embraces the use of mobile technology in the last five years to improve crewmember experience and operations. 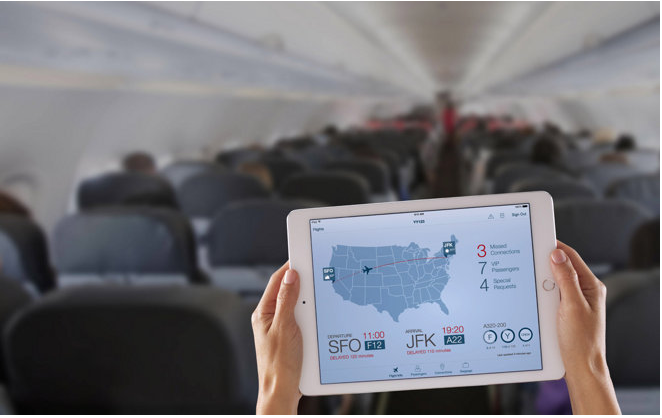 For example, IBM and Apple formed a partnership to design MobileFirst applications with the objective to build an efficient means to manage flight operations, drive incremental revenue, save on fuel costs, and enhance the flying experience for passengers, building loyalty. Other airlines are building their own suite of applications to ease system integration challenges and lower costs. 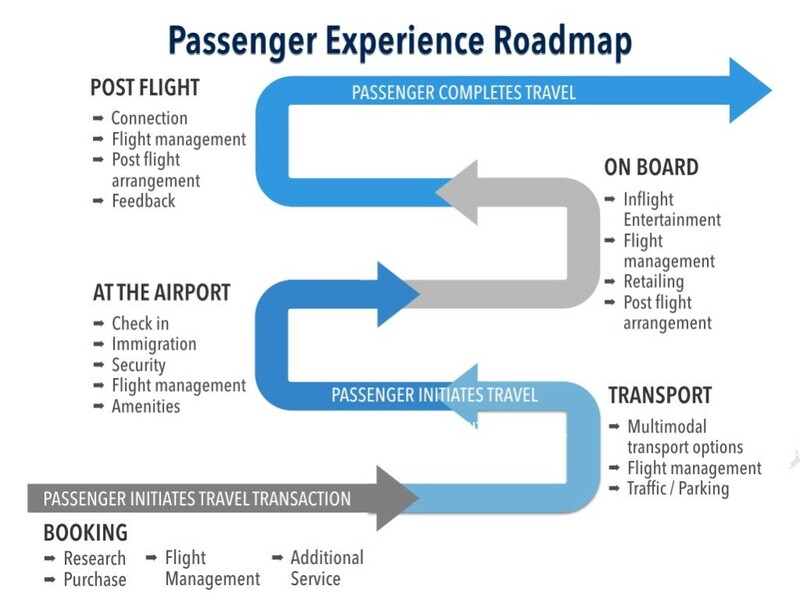 There are many moving parts to manage airline business objectives and employee/customer expectations. Technology integration can be successful when it is included as part of the business process mapping.